Hauskaa lauantaita, tervetuloa uuden Allsorts haasteen pariin! Viikon aiheena "urheilu"! Tein malliksi pari korttia, ensimmäinen tosiurheilijalle ja toinen kamppailulajia harrastavalle. Hi; Happy Saturday, it's time for a new Allsorts Challenge! "It is a Question of Sport". Our sponsor is Digistamp Boutique and special prize is fab paper pad! I made two cards, the first is for the "real sportsman" and the second for martial art hobby -boy! 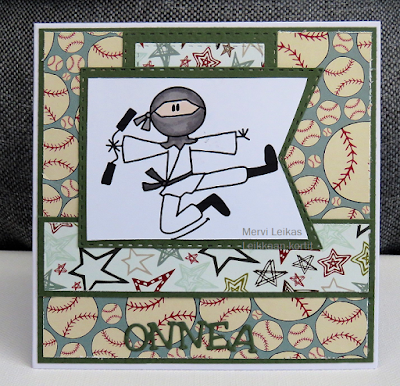 2. card: Image from Bugaboo Stamps, coloured with Promarkers. Not one but two sports Mervi, both great cards. 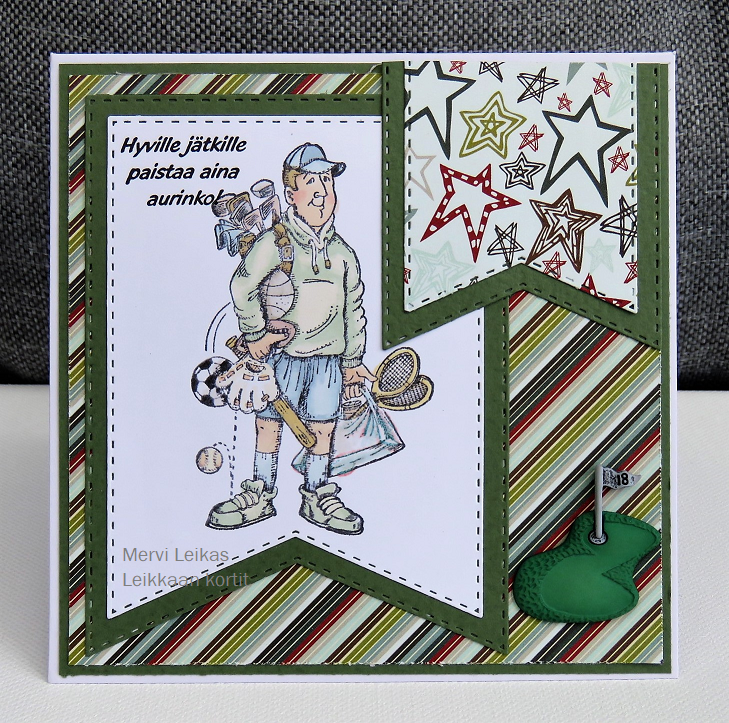 Two brilliant cards Mervi, love the all-round sportsman and the lovely papers. Super fun martial arts image and a super design. 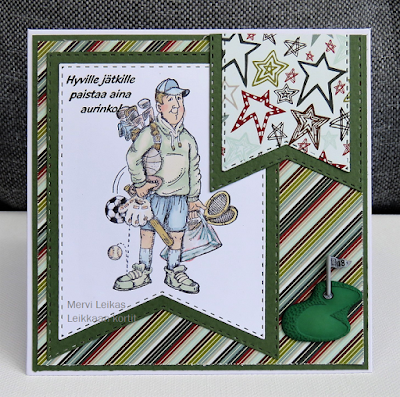 Fantastic masculine cards Mervi. Great images! Super cards for sports freaks (as most men are). Great use of patterned papers and masculine colors! Two fabulous cards perfect for men.